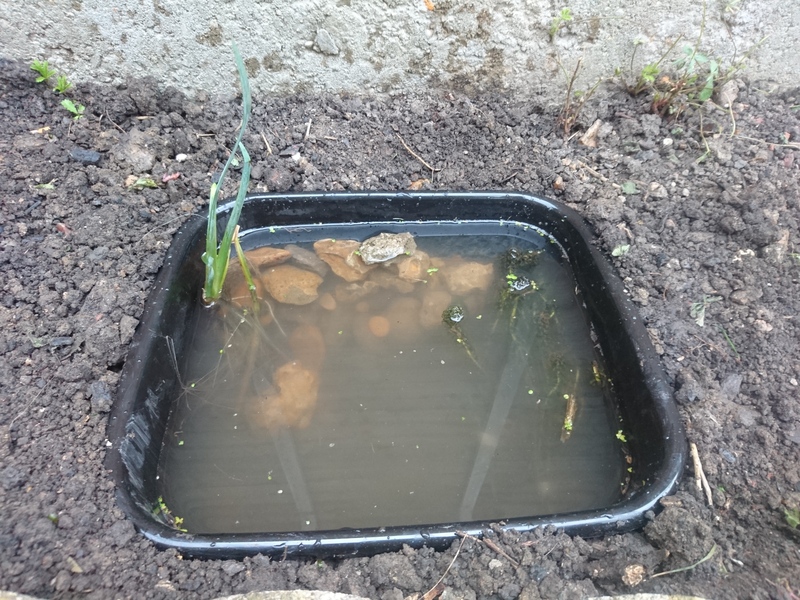 Inspired by the latest RSPB- Home campaign to encourage wildlife into our back gardens, I decided I would take on their “Create a mini pond” project. It’s exciting to watch pond skaters, water lice (like long-legged underwater woodlice), freshwater shrimps, and if you’re lucky, a few damselflies darting around the water. You might even see a bird having a bath. 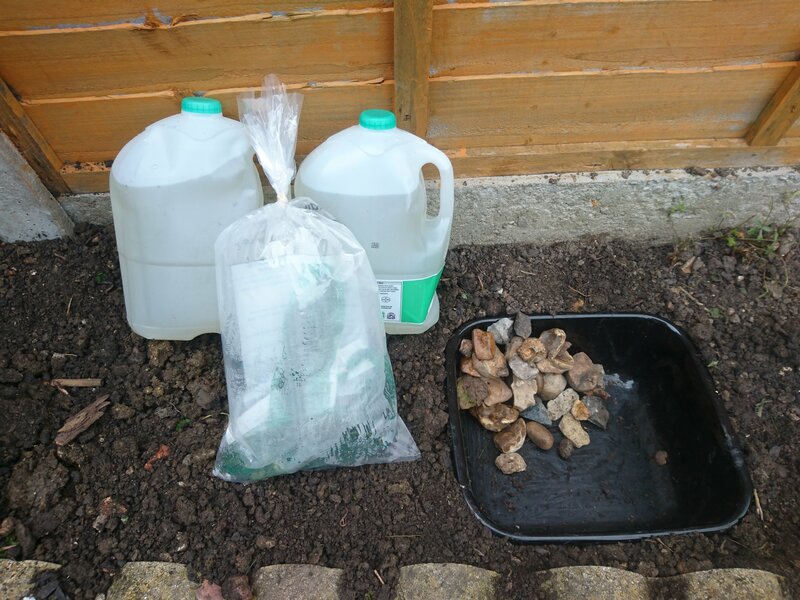 Spring is a lovely time to create a mini-pond, because you’ll see it quickly develop over the next few months. But you can make it at any time of year. On a recent trip to the local dump to dispose of some carpets, I spotted an old washing up bowl being thrown away, I managed to get hold of it and take it home- big bonus points for recycling. I drove to our nearest Garden Centre which has a pet store and purchased a few Oxygen Plants for the wild life pond. I chatted to a neighbour in my street who has a well-established pond and filled up 2 6-pint water bottles with the pond water. After working out where to place the mini pond- not in a full day’s sun light, I dug out a hole, popped in the washing bowl, placed in some stones I found in the garden (we have 100’s of these- we have what you could call a un welcomed mini quarry in our garden L ) these stones will be used as a bank to enable frogs and other wildlife to hop in and out of the pond. After placing the pond plants in, I filled the bowl up with the pond water- Please DO NOT USE regular tap water as this is full of chemicals that may harm the pond wildlife, if you don’t have access to a pond, use rain water. I’ll leave the pond for a few days and see who visits us…..